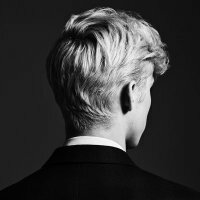 DoesFollow - Find Out Who Follows Whom on Twitter - Does troyesivan follow howiemandel? Joined Twitter on July 3, 2009. You can learn more about them at https://TroyeSivan.lnk.to/Bloom. My name is Howie Mandel, many of you may know me from America's Got Talent, but I like to be known as the guy that smells nice. Joined Twitter on July 3, 2009. You can learn more about them at http://www.howiemandel.com.